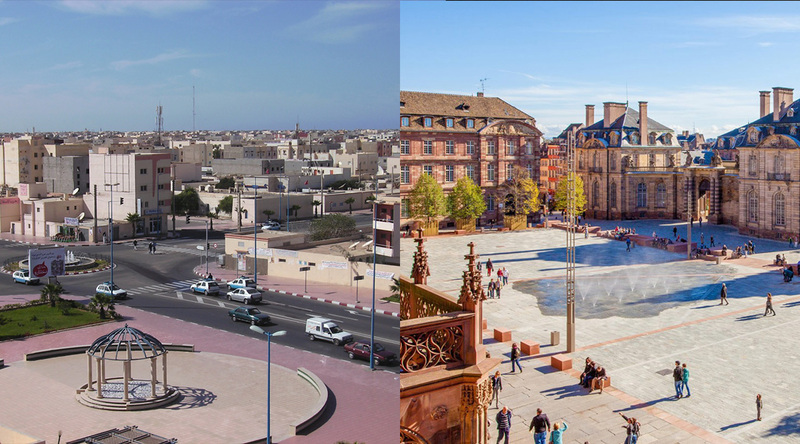 A cooperation framework agreement was signed in May by the French city of Strasbourg and the urban community of Dakhla. An agreement signed in the capital of Alsace by Strasbourg’s Mayor, Roland Ries, and the President of the Dakhla Municipal Council, Sidi Sloh El Joumani, alongside their cultural institutions and representatives from the Moroccan General Consulate. The agreement defines focus areas for the two cooperating parties over the next three years: sports events, public hygiene, urban cleanliness and waste collection, park creation and management, promotion and protection of natural heritage sites. The themes associated with sustainable development reflect the conclusions of the COP21 (Paris) and COP22 (Marrakesh) agreements. Each party pledged to promote and facilitate exchanges between tourism, cultural, school, university, social and economic, public and/or private operators in their respective communities. The actions will take the form of experience and good practice exchanges between elected officials and agents from both local authorities. The programme will also support exchanges proposed by local operators: universities, associations, businesses, cultural bodies, etc. Dakhla is focusing on the development of its international relations.